A traditional captain’s house dating back to 1779, located in one of the best spots of Imerovigli, has been converted into 9 gorgeous suites preserving the aroma of the past offering amenities of elegant style and high aesthetics. All 9 suites have a spectacular view over the caldera. 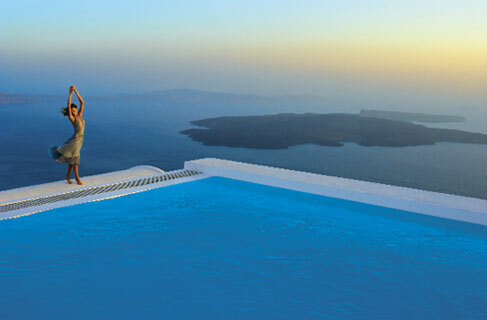 Here you will experience the unique warm hospitality of Santorini. Having breakfast of special local products in the kafenio on the ground floor of Altana is for sure the best way to begin your day on the island.